Lebanon High School is about 4 miles from downtown Hanover. Leave Hanover on Rte. 120 S. Counting the traffic light at the corner of Greensboro Road as the first one, go past 5 traffic lights and turn right onto Evans Drive. There is a large Nissan sign at the corner. The high school grounds are now on the right. Go to the end of Evans Drive and turn right onto Hanover Street. The school entrance and parking lot are just ahead. Leave Rte. I 89 at Exit 18. Turn left onto Rte. 120 N. There is a large Nissan sign visible about 1/5 mile ahead on the left. At that sign, turn left onto Evans Drive. The school grounds are now on the right. Go to the end of Evans Drive and turn right onto Hanover Street. The school entrance and parking lot are just ahead. Leave Rte. 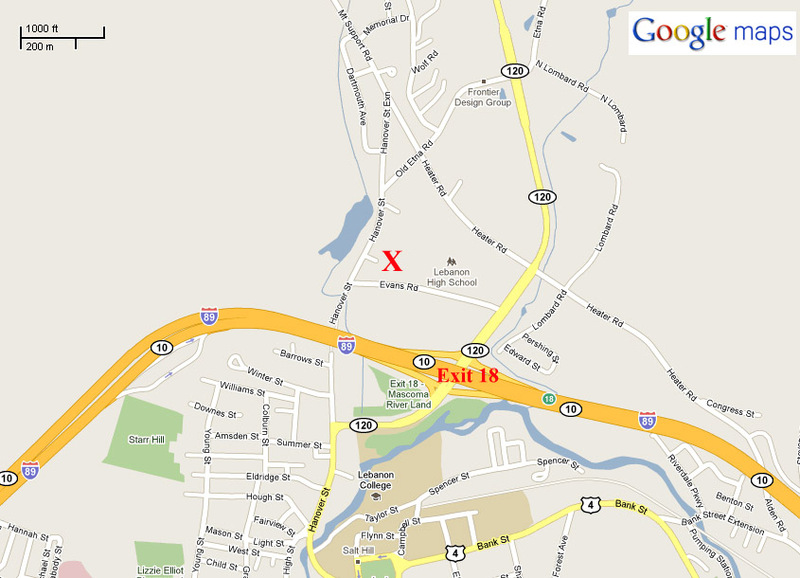 I 89 at Exit 18 and turn right onto Rte. 120 N. Get into the left lane immediately. Just ahead, on the left, is a large Nissan sign . At that sign, turn left onto Evans Drive. The high school grounds are now on the right. Go to the end of Evans Drive and turn right onto Hanover Street. The school entrance and parking lot are just ahead. Leave Lebanon on Rte. 120 N. Go about 1/5 mile beyond the entrance to Rte. I 89, where a large Nissan sign is very visible on the left. At that sign, turn left onto Evans Drive. The high school grounds are now on the right. Go to the End of Evans Drive and turn right onto Hanover Street. The school entrance and parking lot are just ahead. Need something to eat or a place to stay locally while attending the sale?